Innovative solutions on top of m-pesa, airtel money and credit cards. Enforce budget rules across the organization. Add custom budget monitoring rules and alerts on the fly. Break down your budgets to as many levels as required. 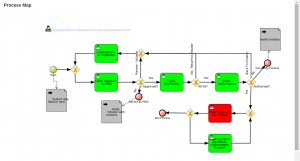 Automatic budget alerts to ensure minimal budget overruns. Coordinate procurement across multiple departments. Customizable requisition form for your users. Requisition to PO transformation. Capability to print PO’s included. Automatic PO to GRN conversion. Capability to set custom receipt rules based on organization policy. Easily select suppliers from a supplier master list. Capture, Validate, enforce supporting documentation for payment requests. Online Payment request forms with capability to attach supplier invoices. Export PDF/CSV payment notes for MPesa, Cheques & EFTs. Integration with accounting systems provided. Easily select supplier details from the supplier master file. Verify and validate claims. Enforce supporting documents capture. 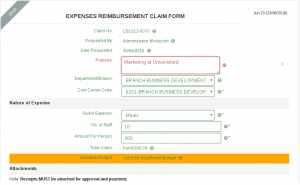 Easy claims for your staff with Online claims application forms. Integrate claim payments to existing financial systems. Monitor your budgets against expenditure to ensure no overruns. Attach receipts and any other supporting documentation. Imprest applications and imprest returns made easy! Simple online digital imprest request/return form for your staff. Upload receipts and other supporting documents. Integrated budget monitoring ensuring no budget overruns. Integrate seamlessly with existing financial systems.